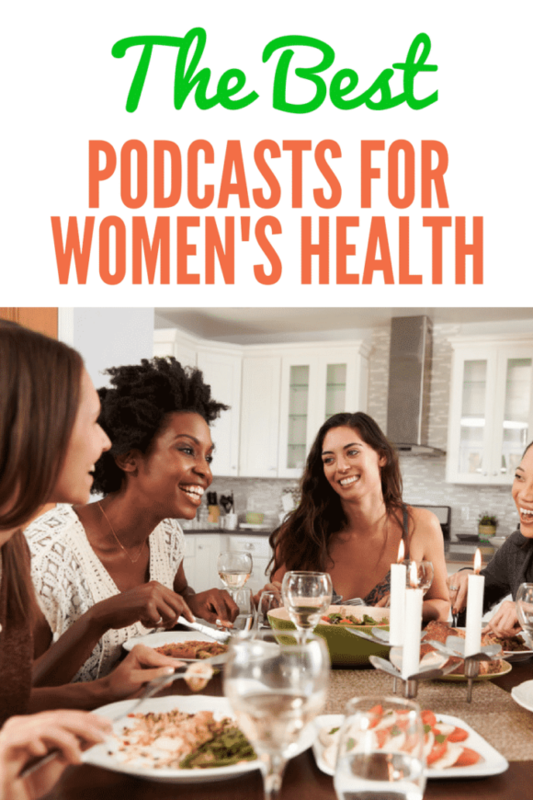 Podcasts can be incredible sources of information, and I thought it would be helpful to share my carefully selected list of Best Podcasts for Women’s Health. From a low point a few years back, my health has stabilized from the help I’ve received from a variety of sources, not the least of which has been from the podcasts I’m sharing today. I find it convenient to listen to podcasts while I’m in the car, working in the kitchen, or going for a walk. There’s something so special and unique about that auditory connection as well, and I even feel a personal connection with the hosts of these shows. You’ll see that I’ve linked to the websites for each podcast on my list, and I pasted each show’s icon from iTunes as well. I really hope you find this list helpful! 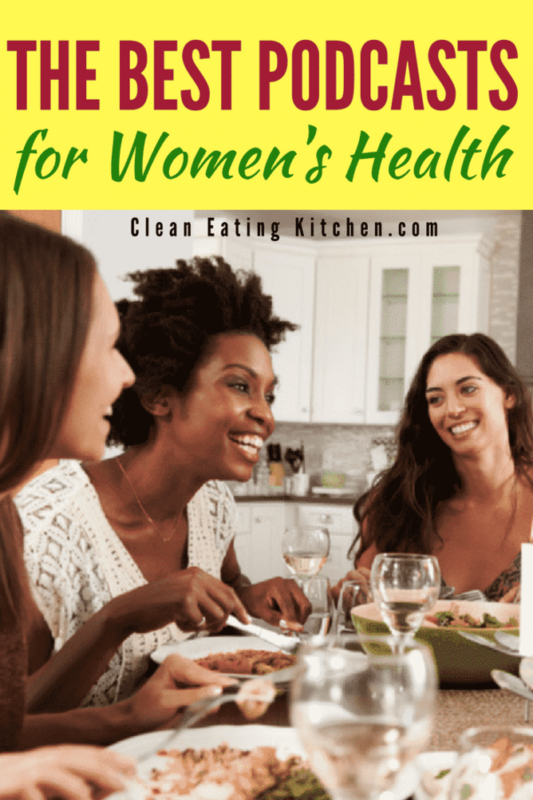 Clean Eating for Women. This is my podcast! I have a masters degree in public health nutrition, but I’m also a real woman who has used holistic healing techniques and real food to heal my health. I share my story and interview experts on a variety of topics every week. You can see my current episode index here. Better Everyday Podcast. 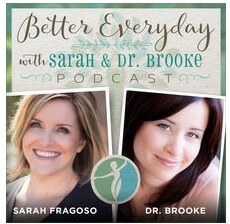 If you are over 40 or have any hormone imbalance issues, I highly, highly recommend listening to this podcast from Sarah Fragoso and Brooke Kalanick ND, MS, LAc. These two women are both brilliant, kind, and real. Natural MD Radio. Dr. Romm is the author of The Adrenal Thyroid Revolution that I reviewed here. She has a history of using holistic and alternative health therapies, so I love that she makes natural healing for women’s health issues a theme. She also organizes her episodes by health concern, so that makes it helpful to find information on specific issues. 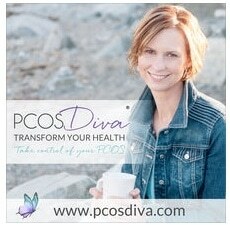 PCOS Diva. Amy Medling is an expert on managing polycystic ovarian syndrome, and she uses her podcast to present interviews with other experts about this complex disorder. Amy’s advice centers around real food and healthy habits which actually applies to all women! 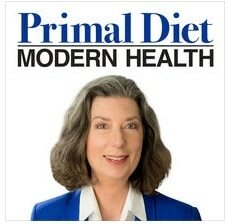 Primal Diet Modern Health. I can’t say enough good things about nutritionist Beverly Meyer, and I’m pretty sure I’ve listened to every single episode of her podcast at least once and sometimes twice. Talk about smart, savvy, and a straight-talker, Beverly is all of those things and more. 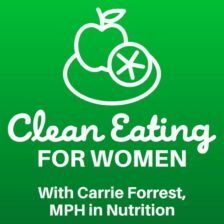 This podcast is another “must listen” for women recovering from the Standard American Diet and/or health issues like insomnia, anxiety, and hormone issues. 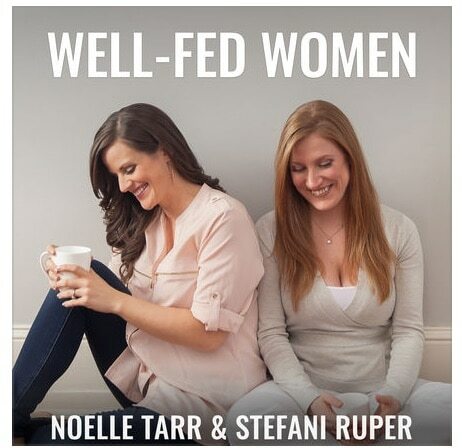 The Well-Fed Women Podcast. This podcast is particularly helpful for women under 40, but, honestly, the inspiration from the hosts about body image and balanced nutrition applies to women of all ages. But, if you are under 40 or know a youngish woman who is struggling with fertility or disordered eating, this one would be a great choice. Balanced Bites Podcast. Hosts Diane and Liz are a wealth of information, especially regarding a “real food” dietary approach. If you’re a women looking for help with cleaning up your diet, then this would be a top pick. 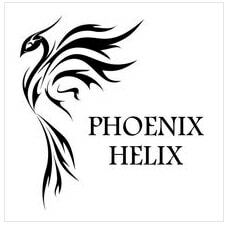 Phoenix Helix. If you’re dealing with an autoimmune disease, you must listen to this podcast. It’s enormously helpful and the host, Eileen Laird, is one smart cookie. If you’re feeling alone or hopeless because of your autoimmune diagnosis, then this podcast will help you find support and resources that can help. Bulletproof Radio. This podcast by Dave Asprey isn’t solely focused on women’s issues, but it is an incredible resource for information on nutrition and cutting-edge health topics. An example of one episode that inspired me was this one about autoimmune disease with Amy Myers, MD. Primal Blueprint Podcast. This is the podcast of Mark’s Daily Apple, with a focus on primal/paleo health. I wouldn’t say that every episode is relevant for women, but it is still an excellent resource. This interview about thyroid health with host Elle Russ and Gary Foresman, MD, was a turning point in my health, because it motivated me to get help to manage my thyroid replacement hormone better. I think fate may have intervened here because Dr. Foresman’s practice is based about 10 minutes from where I live (!). I nearly fell over when I discovered that while listening. I’m so grateful that Dr. Foresman is now the head of my healthcare team. Revolution Health Radio. This is the podcast of Chris Kresser and it is also an excellent, excellent resource. I found my first functional medicine doctor, Amy Nett, through this podcast. Chris is a former vegan who had to change his diet and lifestyle to recover his health. This podcast has recently become more technical, but it’s great for the very informed and educated patient. Ultimate Health Podcast. This is another great overview podcast with interviews and resources for those looking to transform their health. The Balanced Blonde podcast. Jordan Younger is one of my virtual soul-sisters, and I adore her podcast. I always feel more inspired and happier after listening to her interviews. Fit, Fierce and Fabulous Podcast. I’m a huge, huge fan of host Courtney Bentley, and her podcast acts as somewhat of a life and spiritual coach for me. Love!!! I’d love to know your favorite podcast picks, too. Please do share those in the comments. And, be sure to pin this image to save this list of the best podcasts for women’s health! Join my e-mail list to get all the latest news and recipe links delivered directly to your inbox. You can choose to get all new posts, or just my weekly newsletter. Omg you will be doing one!!? So awesome! The podcasts I’ve been listening to in the last couple of years are somewhat antithetical to all of the health podcasts. My recent favorites deal with healing disordered eating/exercise and sadly, sometimes, the “health” podcasts fuel disordered/orthorexic behavior. My favorites are Rebelle Health Radio, Finding our Hunger (no longer being made, but back episodes are awesome), Real Health Radio by Chris Sandel, The Fuckit Diet (for reals and it’s my favorite). Excited for your next adventures! Well, it’s still an idea-in-progress, Deb!!! But, I REALLY appreciate the moral support. And, thanks for sharing your list!!! It’s cool how there are podcasts for every stage of life, and it sounds like you have found some that speak to you. XOXOXOXOXO!!! Thanks for making my day, Amber!!! XOXO. I used to blast music while cooking or doing chores, but my new favorite thing is listening to podcasts instead. I just switched my phone over to unlimited data so I can stream podcasts at work while I’m at my desk. 🙂 I always think it’s fun to hear someone’s voice after reading their blog for so long – it may not always be what you imagined. I love listening to podcasts. I just finished holistic nutrition school and it’s such a great way to learn more and keep up-to-date with health info! Thanks for all the recos. 🙂 I would absolutely listen to you! People love to hear other experiences and knowledge. Thanks, Cindy!!!! Congrats on finishing your training. We need more holistic health professionals in the world!!! Xoxo. The Paleo View!! Got to add that one! That’s another fantastic resource!!! XO. 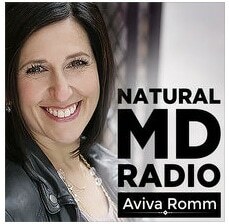 I love Dr. Romm and didn’t know she had a podcast! Thank you! Beverly Meyer is a favorite of mine too! You’re so welcome, Renee. Isn’t Beverly brilliant? I have learned so much from her. XO. I absolutely love this blog post and all these powerful podcasters. Thanks for sharing! Thanks for this list. I haven’t been a podcast listener until recently because my schedule never really allowed for it, but now I’ve been able to take longer walks and have been listening to them then. I’ll have to give some of these a listen to and I’m excited to check yours out! Carrie – Thanks so much for bringing these podcasts into the spotlight. They are all so informative and great for women of all ages. Such a great list & resource for women. Yay, I see Beverley is in there 🙂 You should definitely start one, if you have not already. Awww, thank you Stacey!!! I have not started mine yet, but definitely moving in that direction. 🙂 XO. i didn’t know about most of these. There’s so many awesome ones that I need to check out! I love Aviva Romm and was happy to see you included hers here. Isn’t Dr. Romm so approachable and brilliant?! I’d love to know about any others I’ve missed that you love, Emily. Have a great weekend! XO. This is so timely, I’ve been thinking I need to start listening to some health related podcasts, and now you’ve given me a complete lineup – thanks! You’re so welcome, Kari! I’ve definitely vetted all of these, I’ve literally listened to HOURS and HOURS of these podcasts…and learned so much. Happy listening! Let me know which ones resonate with you, or if you find some others I need to know about. 🙂 XO. I don’t listen to podcasts much, but what a great list you have here! I’m definitely more interested now and wishing I had more time to listen. Thanks for this awesome list. I just started listening to podcasts while I take some alone time and they are so informational! Love that these are specifically geared toward women. I’m still trying to figure out my hormones, I’m sure I will learn a lot from these women. Thanks, Cristina. Let me know if you come across any that you love, too. UGH, hormones. It took me forever to get mine balanced, but I learned a TON from listening to these podcasts. 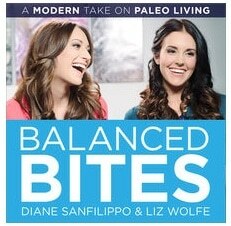 The Paleo Women Podcast was especially helpful with getting my hormones back on track. XO. I love listening to podcasts especially when I do weekend meal prep. Now I have more awesome podcasts to check out this coming weekend. Thanks so much ! You’re so welcome! LMK if I missed any that you love. This is perfect! I need some new podcasts to check out. Thanks for sharing! Great roundup! I’m getting more into podcasts and look forward to checking out some of these. Thanks, Becky! I hope you find some on this list that you like. XO. You’re so welcome, Dana! LMK if you have any favs that I missed! This is a wonderful list that includes many of my favorites! Shared this post as I listen to lots of these and it’s a great roundup. Thanks, Vanessa! I so appreciate the share. I’m glad you like the ones I listed, too. XO. Thanks, Georgina! It was fun to share my fav podcasts, especially since I’m thinking of starting one. XO! Nice tips and thank you for sharing your podcasts for women. I would like to find one good podcast to hear and what I would like about. 🙂 I haven’t heard many of these yet. I always find myself listening to podcasts about social media marketing. It would be great to switch it up with a health podcast every now and then! I cannot wait to listen to all of these & share them with my friends. Thank you thank you for the recommendations!!! Thank you for researching and sharing this list. Wow, such a resource! I am pinning it for further exploration! Podcasts always feel like your friend talking to you giving you advice. I love them when I work out. All these options sound great! I havent gotten into podcasts but I hear more and more about them everyday! So I really should! Podcasts are so much fun! Let me know how you like them! This is a great list of podcast. I worked in the healthcare field for four years, So I’ll definitely check some of these out. I was completely aware of all of these. Such fantastic resources for clean eating.